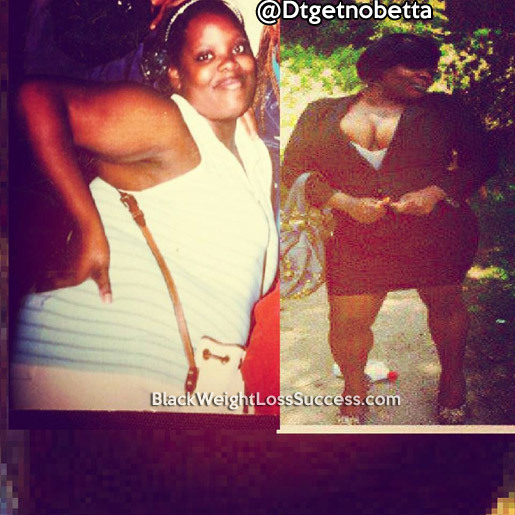 Weight Loss Transformation of the Day: Chelle lost 120 pounds, going from a size 24 to a size 14. 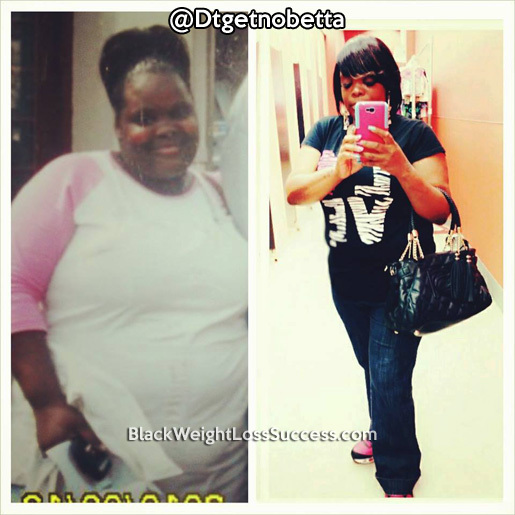 After being diagnosed with diabetes, she began her weight loss journey. She lost the weight and has kept the weight off for a few years. Here is what she shared with us about her journey. I’m a 31 year old from Saint Louis, MO. My motivation: I didn’t want my weight to be a reason that I was no longer on this earth. I was diagnosed with diabetes at the age of 19. At the time, I was informed by my doctor that I needed to get my weight down in order to get my diabetes under control. I started to eat healthier, watch my portions and I did more walking than any other exercise. I’m not a gym type of woman, but I will definitely walk a few blocks and stay busy. I walked to hours before and after work each day. I also cut out all the unhealthy, fried food and started eating more fruits and baked foods. I’m 5’2″ tall and I started off in a size 24. Now I wear a size 14. I’ve gone from 290 pounds to 170 pounds. I know that it is possible if you just have faith and push yourself. My transformation took 2 years. I started at 19 years old, however I never stood strong with my efforts until about 5 years ago. I put my mind to it and stuck with my plan and mission. I encourage all women to get their health in order. As I get older, I began to see that being healthy plays off in a major way in your life. My advice to others would be that you have to want to do it for yourself and want a healthier longer life I’ve struggled with diabetes for years and I don’t wish this illness on anyone. It can get ruff at times but don’t give up until you are content where you’re at.